Is anyone just as obsessed over brow products as I am? Well you're in luck. 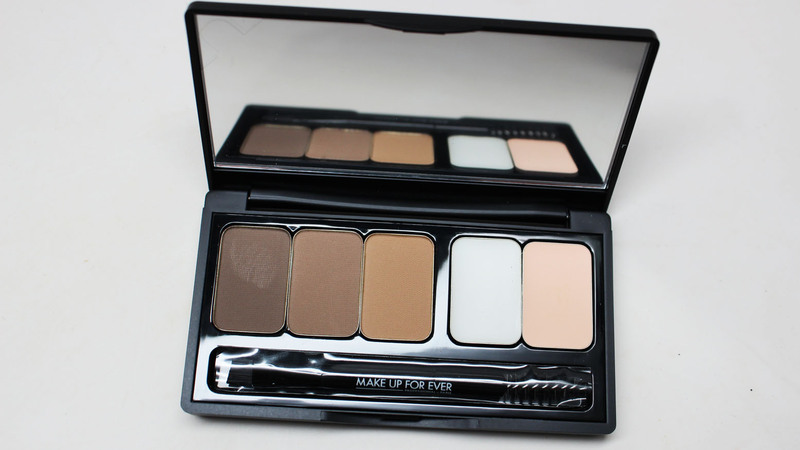 Make Up For Ever just released another new product - The Pro Sculpting Brow Palette. It's an all in one kit to leave you with flawless brows. Check out my pics, swatches and thoughts below! Make Up For Ever developed this convenient mirrored palette as a 4 in 1 product. 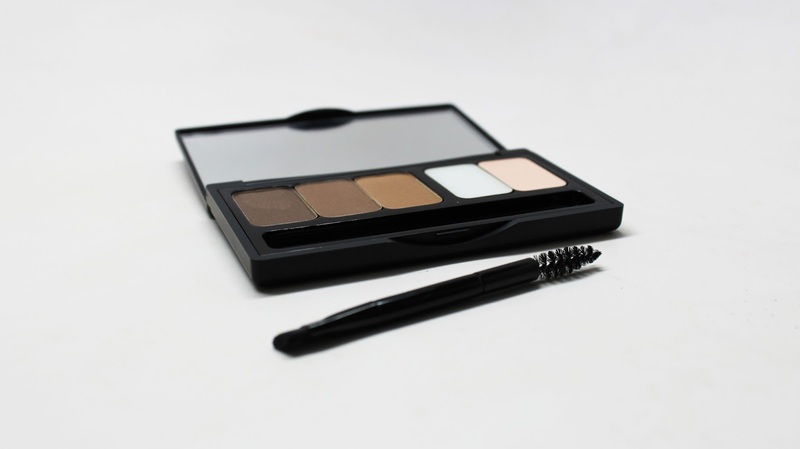 It contains 3 brow shades, one highlighter shade, and a brow wax. 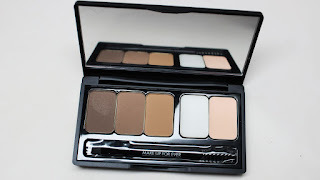 The palette also comes with a dual ended brow brush and spoolie. They instruct you to groom your brow hair first with the wax using your fingers or the brush. Comb hairs into place with the spoolie. Apply the eyebrow powder with the angled brush. Lastly, apply the highlight shade to the brow bone. As you can see from the swatches, the pigment of this powder is actually pretty light. This could be a good thing so that you can avoid an overly heavy brow. You can use these powders dry for less coverage and if you want more definition, apply with a wet brush. I found the wax to be very nice. They describe it as invisible and it truly is very lightweight. In the past I never used to apply a palette's brow wax because it made the brow powder catch on it unevenly. But this wax is a great primer for the brow powder. Unfortunately, the brow brush isn't that great. The spoolie is fine but the angled brush side is way too stiff, as if they just chopped off the end of a plastic stick. In end, it's a nice palette. I like that they provide a range of shades and a nice wax. The highlight shade is a nice bonus because you can actually use all these shades together to do a quick neutral eyeshadow look. I found that it gave my brows a very natural fill in. 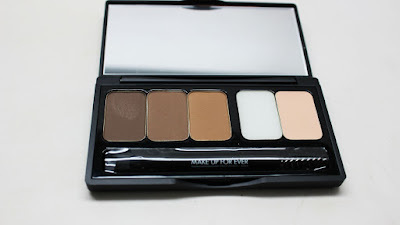 I used the darkest color in the palette to outline and fill in my brows lightly. Then I faded the front of the brow with application of the lightest powder. I later wet the brush and found that the shadow went on darker and with more precision, without messing with the texture of the powder.